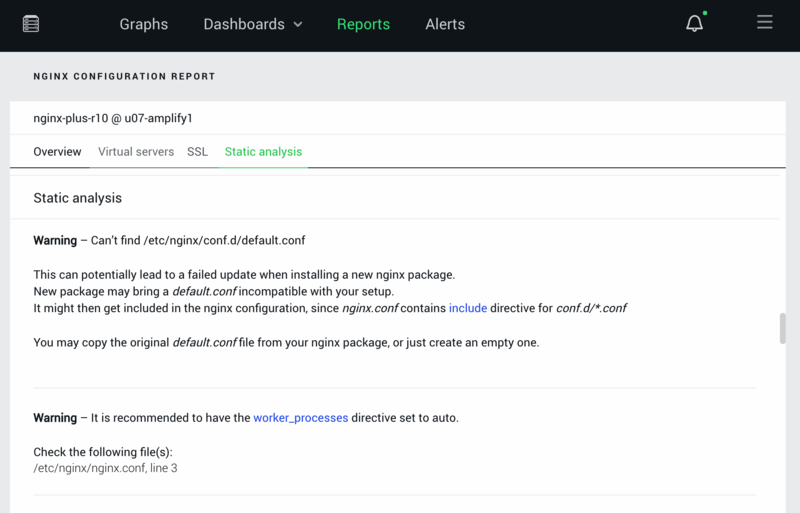 This blog post is the second in a series about how to monitor NGINX and make the most out of your web delivery infrastructure with NGINX Amplify. Note: If you have performed an upgrade of the OpenSSL library, perform a full restart or upgrade of the NGINX service. 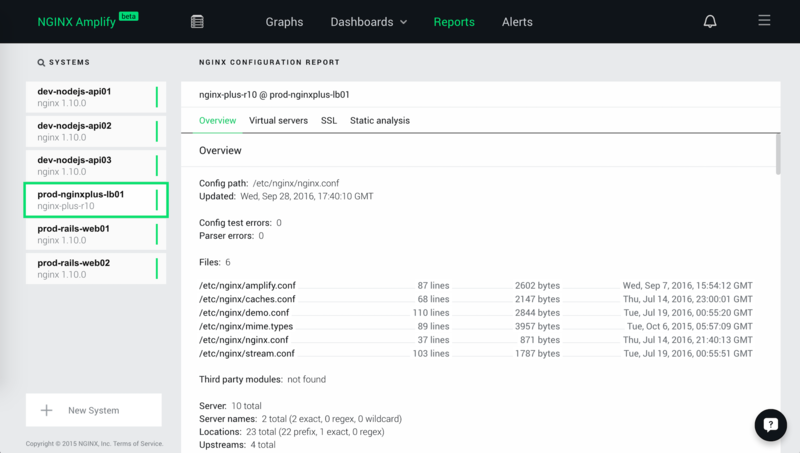 A configuration reload (nginx‑sreload) does not change the running libraries. Error: Found parameter to a listen directive with a specific IP address, that puts it in conflict with a wildcardlisten directive for the same port. While it is possible to make nginx listen on the same port with a wildcard socket and a specific IP address, such combination is not compatible with anything but default_server, ssl, spdy, proxy_protocol or http2 listen parameters. 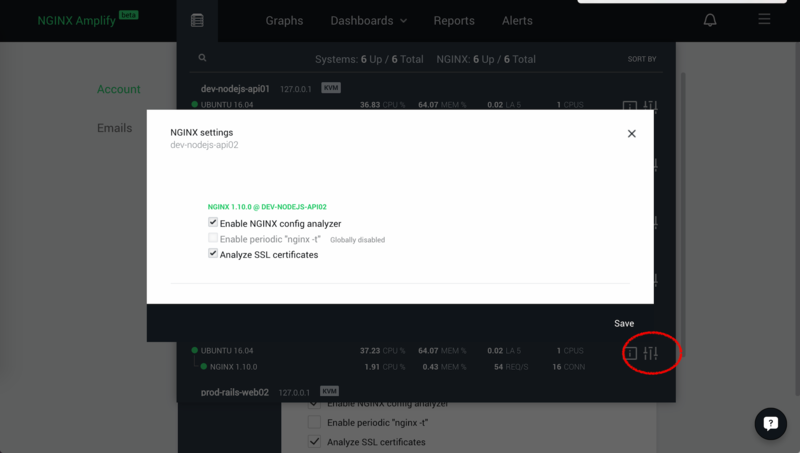 Enable periodic “nginx ‑t” – If enabled, the NGINX Amplify Agent regularly runs the nginx‑t command to check whether the configuration has syntax errors. 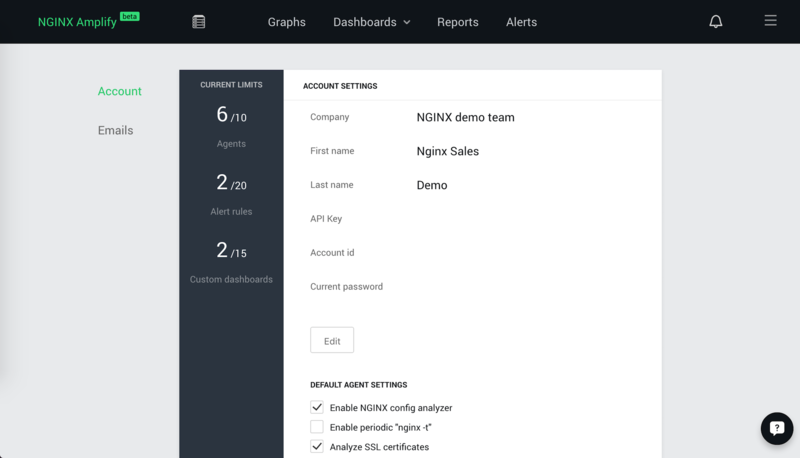 Typically a fully successful execution of the configuration test requires root privileges, and running it with the agent’s default permissions results in warnings in the NGINX error.log file. This option is disabled by default.